The vision of Beyond Crossroads includes an action plan. The activities of the plan are led by mathematics faculty at two-year colleges collaborating with all stakeholders to improve student learning in mathematics in the first two years of college. Implementing the standards requires the involvement of a mathematics community, functioning purposefully as a whole to improve student learning in mathematics. “Systemic change requires new forms of partnerships to make the system more productive and to provide solutions that cut across the system components.” (1) Inherent in such collaborative relationships is a willingness to work together to build consensus and a commitment to put standards into practice with systemic actions. 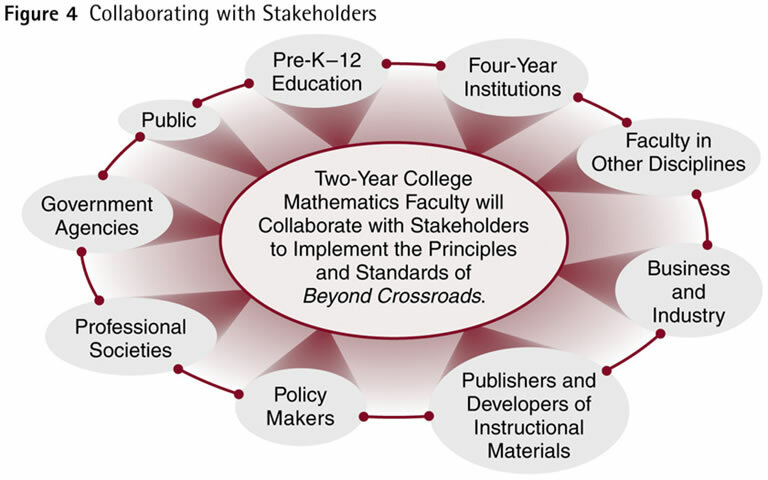 The principles and standards of Beyond Crossroads are put into action by two-year college mathematics faculty collaborating with the stakeholders shown in the following figure. 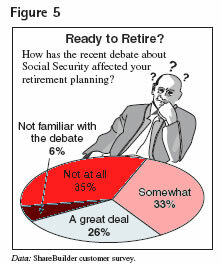 a citizen's ability to choose between various policy options (e.g. comparing environmental options and where to use limited funds). Many technical careers require significant application of mathematics. Employees in business, industry, and government are expected to apply mathematics skills and concepts when making informed decisions and then use the language of mathematics to communicate those decisions. Describing and interpreting data requires mathematical analysis, representations, and manipulations, although the users seldom identify themselves as “doing” mathematics. As many businesses and industries experience a shortage of technically trained workers, these workers are being recruited from overseas or the work is completely outsourced overseas. To be economically competitive and secure, the United States needs citizens who are mathematically literate and capable of filling these jobs. Acquiring quantitative skills and mathematics power is essential, not optional. Quantitative thinking is a daily activity. Teaching professionals need to recognize that local and national newspapers, news magazines, and professional journals expect their readers to read and interpret tables, graphs, and charts as Figure 5 shows. An informed citizen should understand mathematical statements such as "The margin of error is plus or minus 5%." Analyzing data and evaluating the validity of claims require quantitative thinking and mathematical reasoning. The public needs to understand the nature and scope of mathematics today and the importance of quantitative literacy for all. In addition, research about how students learn mathematics and the rewards of active student learning needs to be shared beyond the classroom. Many students and parents are suspicious of innovative or new teaching methods and the use of technology. The mathematics community must recognize these suspicions and communicate the results of research that show the benefits of active student learning, the use of technology, and alternative delivery formats. The mathematics community will communicate the nature and scope of mathematics and the importance of quantitative literacy to the public and share the results of research on the learning and teaching of mathematics with the public. Mathematics faculty and mathematics organizations will listen to, analyze, understand, and address the public’s questions and concerns about mathematics education and quantitative literacy and will provide opportunities for parents, faculty from other disciplines, administrators, and public officials to gain a deeper understanding of the benefits of standards-based mathematics instruction. The mathematics community will seek opportunities to provide input on mathematics used in public interest media. Dialogue and collaboration between preK-12 school districts and institutions of higher education are essential to develop and maintain a consistent, positive, and significant mathematical experience for all students. Institutions that collaborate benefit from each others’ resources. Two-year college faculty can learn from middle and high school faculty who use integrated curricula. Two-year college teacher preparation programs can benefit by incorporating preK-12 classroom experiences into their courses. Providing in-depth professional development for preK-12 mathematics teachers to implement mathematics standards for school mathematics has become a priority in many schools. 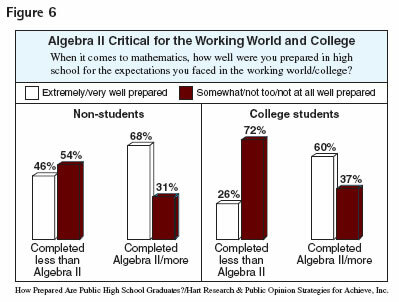 The need is particularly great in the middle grades, where a high percentage of teachers have mathematics preparation that focused mainly on computational arithmetic. These same teachers, with minimal training, are expected to lay the foundations of algebra, teach basic geometry and measurement concepts, and introduce applications of probability and elementary statistics to students in the middle grades. Two-year colleges and school districts should partner, working together to help teachers better understand the mathematics content and related pedagogy that local and state standards require. Dual enrollment programs–programs where a high school student enrolls in a postsecondary institution and may earn credit in both institutions simultaneously–promote connections between high schools and postsecondary institutions. Maintaining appropriate content and pedagogy in these programs is challenging. The high school mathematics courses may be taught on a college campus or collegiate courses may be taught in high schools. Regardless of the dual enrollment model used, mathematics faculty and institutions should agree on student outcomes in mathematics courses and programs, and develop appropriate curricula and instructional strategies that enhance the mathematical knowledge of all students. Two-year college and preK-12 district personnel will engage in dialogue and collaborate to develop a continuous, seamless, and coherent mathematical experience for students. College, university, and high school mathematics faculty will work together to assure that students are able to make the transition from high school to postsecondary education as easily as possible, aligning high school exit competencies in mathematics with higher education entrance requirements and content on mathematics placement tests. Two-year college and preK-12 district personnel will work together to address the need for the continuing education of preK-12 teachers in mathematics. Open communication between two-year and four-year institutions is a prerequisite for successful transition for the large numbers of students transferring between the institutions. As a result, it is critical these institutions collaborate to build mathematics programs and develop articulation agreements that address issues including entrance and exit requirements, course content, pedagogy, the use of technology, and assessment strategies. Articulation agreements are essential for program integrity and to decrease duplication in course content for students. Effective articulation agreements are the result of ongoing communication and consensus-building activities. Assessment strategies and instruments, exit and entrance requirements, instructional strategies such as collaborative learning, writing assignments, the use of technology, and the inclusion of authentic applications, must be agreed upon and aligned. Expectations of students and faculty must be communicated broadly and implemented at all institutions. Two-year colleges play a vital role in the preparation of future teachers. It is critical for two-year colleges to “develop partnerships with both K-12 schools and four-year colleges and universities to design curriculum and assessments, enhance K-12 and community college student progress in science, math and technology, and maximize scarce public resources through creative use of shared technologies, classroom space, and staff expertise.”(7) Two-year college mathematics faculty, for example, can learn lessons from teacher preparation programs and provide hands-on experiences in schools for future teachers. Mathematics faculty at two-year colleges and the four-year institutions will collaborate to build and enhance mathematics programs and develop articulation agreements regarding exit and entrance requirements, course content, pedagogy, the use of technology, and assessment strategies to ensure that students will experience smooth transitions from one institution to another. The mathematical and instructional standards and strategies presented in Beyond Crossroads need to be communicated broadly and incorporated into instructional materials that may be in print, video, digital, or some other media or format. Incorporating the recommendations of Beyond Crossroads into instructional materials benefits all parties–students, faculty, and publishers. Faculty, collaborating with publishers, as both writers and users of standards-based materials, can incorporate research into practice and guide the design of textbooks and other instructional materials. Only through cooperation between faculty and publishers, will standards-based materials become the norm. Mathematics faculty, AMATYC, and its members will collaborate with publishers and other course materials developers to incorporate the principles and standards of Beyond Crossroads into instructional materials. AMATYC and its members will collaborate to create digital products to give faculty access to ideas, programs, and materials that support Beyond Crossroads. Two-year colleges, business, and industry need to collaborate and identify the mathematical needs of the workplace in the 21st century. Employees are now expected to be quantitatively literate and possess a high level of specific mathematical skills. Higher education institutions, especially two-year colleges, play an important role in educating and training those employees. Mathematics departments play a major role in the mathematics preparation of the workforce. In order to be responsive to workforce needs, departments should establish advisory committees including representatives from business and industry to engage in regular conversations about the mathematical expectations of prospective employers. These committees should share useful information regarding content and assessment, identify opportunities for recruiting guest speakers and adjunct faculty with unique qualifications, and ways to understand the language and culture of education and business. Mathematics faculty will establish relationships with business and industry to gather information about workforce needs and to incorporate relevant content and application into their courses. Two-year colleges will work with other institutions of higher education to collect information to determine whether or not mathematics courses and programs have met students’ career needs and whether they have acquired the necessary mathematics skills needed by their employers. Designing and implementing policy in mathematics education is the responsibility of all stakeholders. These policies should be determined after careful dialogue and active involvement among them. The mission and uniqueness of each entity should be respected, while putting forth a unified voice in support of standards-based mathematics education and improvement of student learning in mathematics. All stakeholders need to continue to establish and enhance their relationships. National leaders in government, education, and on professional boards need to be informed of Beyond Crossroads, incorporate its principles and standards into policy, and allocate funds to promote innovation. AMATYC and its members should also stay informed about activities and documents of other stakeholders. The notable contributions in mathematics education of the National Council of Teachers of Mathematics and the Mathematical Association of America influenced this document. Garnering support from professional organizations, federal agencies, policy makers, foundations, and businesses will significantly help to further implement Beyond Crossroads. AMATYC and its members will collaborate with other boards, societies, organizations, agencies, and policy makers to disseminate Beyond Crossroads broadly and promote standards-based mathematics education for all students in the first two years of college. speak with a unified voice in support of the improvement of mathematics education for all.